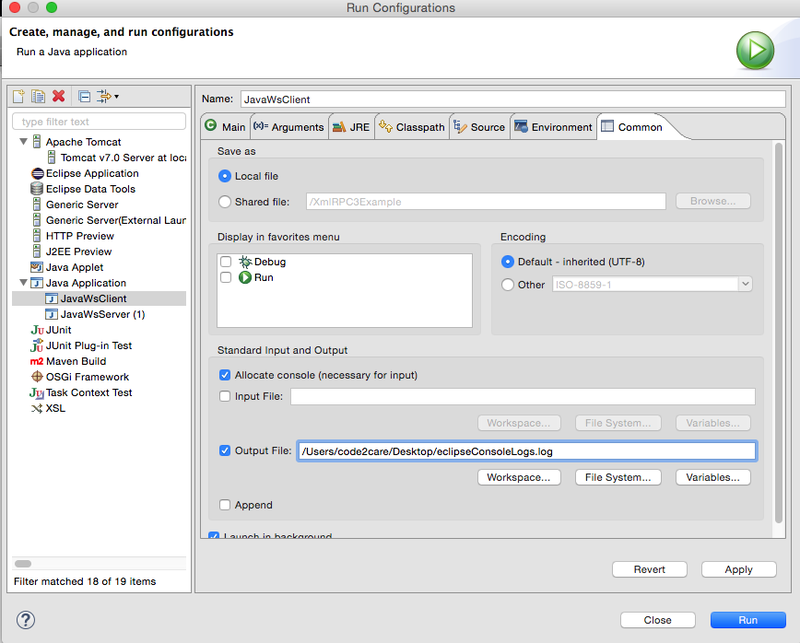 Go-to Eclipse Menu : Run -> Run Configuration. Under Standard Input and Output : Select Output file checkbox, enter log file name and path where you want logs to be redirected. Apply changes and run your application.